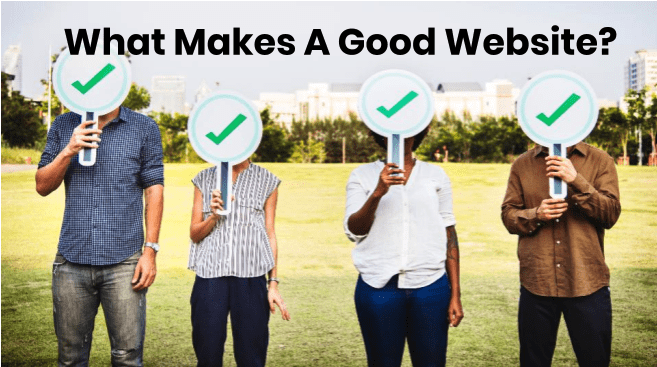 What makes one website more Google-friendly than another? What steps can you take towards increasing the quality of your site? The team at Nonprofit Megaphone has seen hundreds of organizations’ websites and have come up with some key actions you can take now for a more successful website. Success/Thank you pages are highly recommended by Google and give your organization hard ROIs to track. These pages are confirmation pages that a person sees after completing an action on your website – from giving a donation to signing up to be a volunteer. Anytime someone fills out a form on your site, they should see some sort of dedicated success or thank you page. Also highly recommended by Google, this useful tool will help you track what people are doing once on your site. Curious what the most popular sections of your domain are? Find out with Google Tag Manager (GTM)! Not only will you get some incredibly helpful information, but Google will also be able to see that your site is linked to GTM and the conversions you are receiving. Reach out to your Grant Manager and they can install GTM for you! Consistently updated web pages will help Google like your website more and bring in new traffic. Every time you update your site in the form of blogs, news, events, etc. there is new content for your Grant Manager to create ads. This also will increase traffic by appealing to a slightly different demographic and adding keywords to your account. Updating consistently with fresh, quality content will also show Google that you are active and care about the information on your site. Once Google sees this, your site will have more success in gaining a higher ad position. One thing to remember when creating this content: it’s not about how much content you put on the page, but adding quality and robust content on a regular basis. A couple of good tips would be to create and update current industry related blogs and information on your organization’s events. We all know how easy it is to stick a lot of information on one page. After all, you are the expert in what your organization does! However, you also want your information to be easily navigated by those viewing your site. Having too much on one page can be overwhelming to the average person. Give each topic its own landing page. You’ll find this will give your webpage a more organized, high-quality feel and the reader will be able to manage and remember the information with ease. Having a web page that loads slowly is frustrating and can cause Google users to leave your site before it even finishes loading. Ideally, every landing page on your website should load in 3 seconds or less. Read the article 10 Ways to Make Your Website Load Faster by Hostway for tips. To test the load speed of your site, check out Pingdom. Create clearly located buttons that are easily identifiable to the user. Consider a menu bar, if you don’t already have one. A simple menu at the top of side of a page that is easy for the user to see will help them navigate your website. Having a menu bar is an excellent start. However, a menu bar with too many buttons can look messy. Add submenus to decrease the clutter. Buttons on your website should be attractive and catch the eye. Create a search bar so users are able to search for the specific topic they’re looking for. Keep the formatting consistent across your site. Using PDFs as pages – update your content directly on a landing page. Unattractive or outdated website designs and layouts. Content that is not on your domain. For some other ideas on how to update your website, see our blog Refreshing a Nonprofit Website – 15 Steps to Mastery today!